There are lots of perks to riding your bike: fresh air, exercise and Pedal Perks. Bike to a participating local business now through Oct. 31, show proof of your ride and receive a great deal. It’s easier than ever to ride, dine, shop and save in Hamilton County. No bike, no problem. 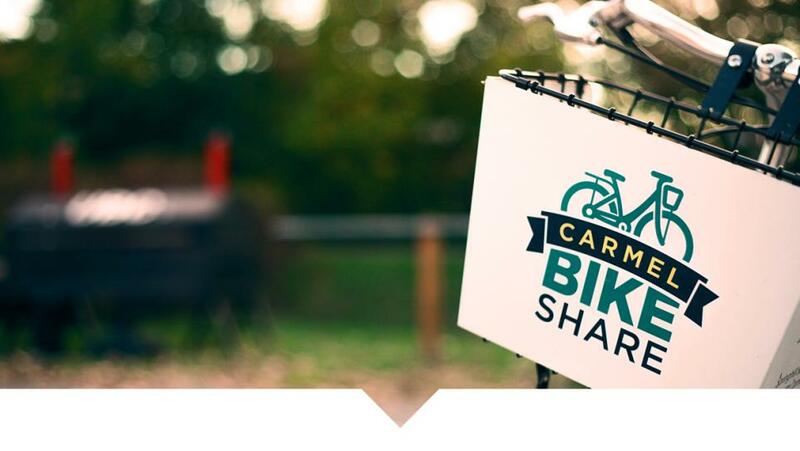 Rent one for $3 per hour at one of the 15+ Zagster bike share stations, now in Carmel, Noblesville and Westfield. Simply download the free app and follow the instructions to unlock your bike and start your ride. This popular biking and walking path spans more than 25 miles in length, starting in the town of Sheridan and connecting south through Westfield, Carmel and Indianapolis. The Monon Trail is a popular outdoor attraction in the summer months, but is open year-round dawn to dusk. There are multiple access points as well as points of interests along the way. This trail begins behind the Hamilton County Courthouse and continues along the White River up to Morse Park on Morse Reservoir. In between points A and B you can find beautiful scenery along the riverfront as well as at Potter’s Bridge Park and Forest Park. Indiana’s interconnected bike route runs 360 miles north to south through the Hoosier state, traversing 15 counties. The Hamilton County portion includes about 50 miles, ideal for a day or weekend trip depending on your experience level.